Clean Internet! Optimized and Secure. eCare EveryWAN brings all the important quality metrics to your existing internet connection, turning your cable and DSL, etc. into the enterprise quality of MPLS connectivity, without the steep price tag. When it feels slow, many buy more thinking it will help. What about MPLS (Multiprotocol Label Switching)? And, why do MPLS lines cost more for a lot less bandwidth? MPLS for WAN connectivity also takes into consideration other important metrics. Latency, jitter, packet loss, stability, control and prioritization—in most applications bandwidth is the least important of these metrics. 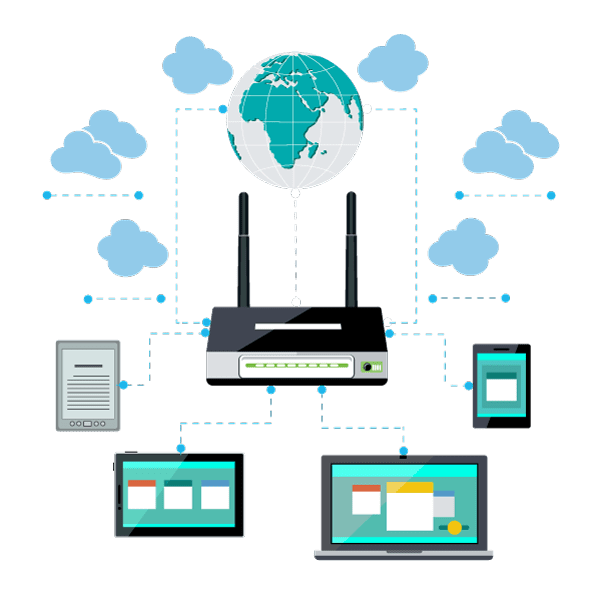 eCare EveryWAN optimizes your existing internet with all the important quality connectivity metrics. eCare EveryWAN is an important component of the eCare family of IT managed services from eMazzanti Technologies. Some pairings just make sense! Elastic UTM (Unified Threat Management) meets SD-WAN (Software Defined WAN). Experience the synergy in next generation, eCare EveryWAN. Elastic UTM dynamically expands to maintain high performance without sacrificing security. Harness the power of Fortune 500 UTM protection, at an SMB price point.